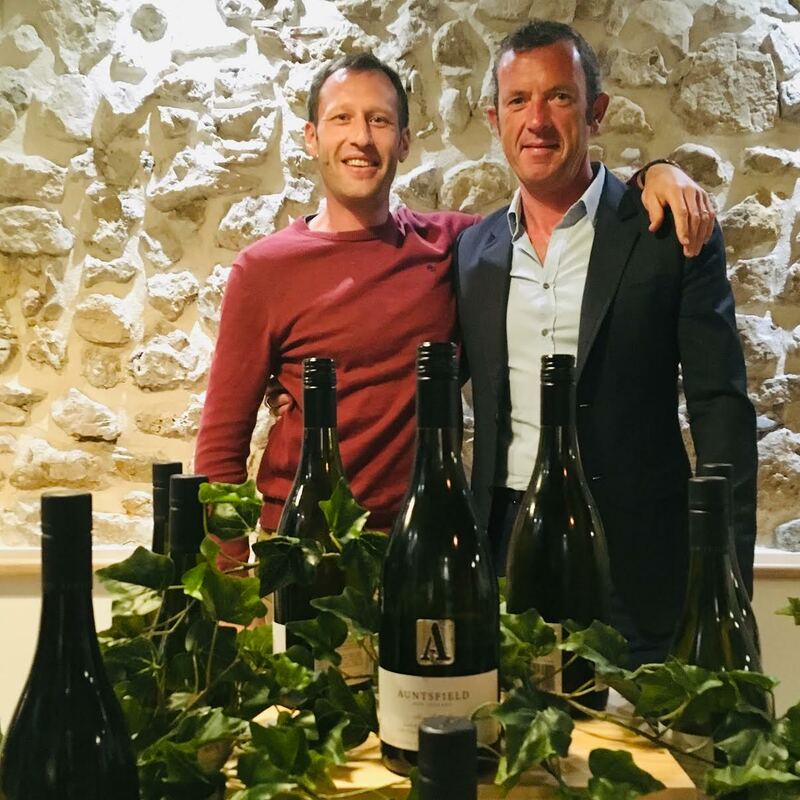 On Thursday 28thFebruary, Club Vivanova hosted ‘The Heritage of New Zealand Degustation’ at Onshore Cellars in Antibes on the French Riviera with an exclusive tasting of five exceptional New Zealand single vineyard wines from Auntsfield Estate. Auntsfield Estate is owned and operated by the Cowley family who continue the proud heritage of Marlborough’s first vineyard and winery established in 1873. The evening’s degustation proved a glowing example how New Zealand’s wineries have developed over the decades and it stands to say that guests were treated to some memorable wines. Club Vivanova’s Founder Bradley Mitton showcased some beautifully drinkable Auntsfield Estate wines including their South Oaks Barrel Fermented Sauvignon 2013, Single Vineyard Pinot Noir 2016 and a Single Vineyard Chardonnay 2016 which embodied the distinctive terroir of its Loess clay soils over Greywacke rock site in New Zealand’s largest wine region. Guests also enjoyed a swirl of Auntsfield’s deep ruby Heritage Pinot Noir 2013, a special treat to sample in France with aromas of dark berries, leather and cocoa that hits first, after which a cloud of subtle essences of exotic spices, juicy berries and oak spice touches the senses. Founded by two ex-superyacht crew, Jess Dunnett and Edward Dunnett, Onshore Cellars have an appealing knack for recommending winemakers and wines you need to know. Sourcing everything from super-expensive cult wines to well-priced bottles, their friendly approach to wine supply and advice is making them one to watch in the yachting industry. A short walk from their modern wine shop and tasting room in Antibes old town, you’ll find Port Vauban where the French Riviera’s largest superyachts are moored with discerning clients looking for the highest quality wines to drink on board. On this mild Mediterranean evening, Bradley Mitton’s talent for introducing wine lovers to exceptional international cellar selections was evident – we were transported to a tiny slice of New Zealand for two hours before leaving the venue in a state of viticultural Shangri-La. Mitton’s passion translates into every wine he talks about. Whether your preference is a complex vintage that evolves on your palate or the perfect wine pairing for cuisine, Club Vivanova should be your first port of call for a portfolio of boutique wines and regular gourmet wine and networking events hosted in Europe’s leading destinations.